Product prices and availability are accurate as of 2019-03-28 07:03:34 EDT and are subject to change. Any price and availability information displayed on http://www.amazon.com/ at the time of purchase will apply to the purchase of this product. 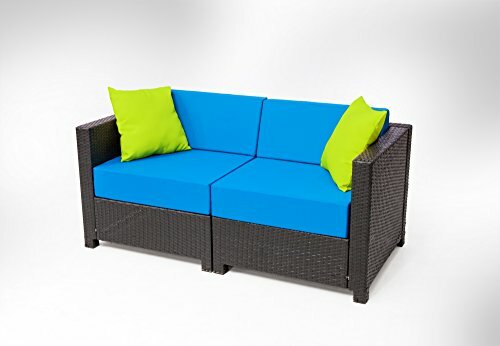 This Brand new luxury resort European style beautifully designed wicker set will bring Instant contemporary charm & elegance to your outdoor setting. 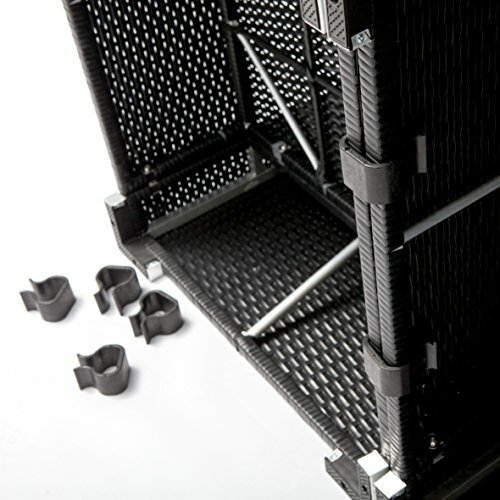 With all-weather resin wicker woven over durable aluminum frames, each piece in this set is designed to withstand frequent use & harsh elements. 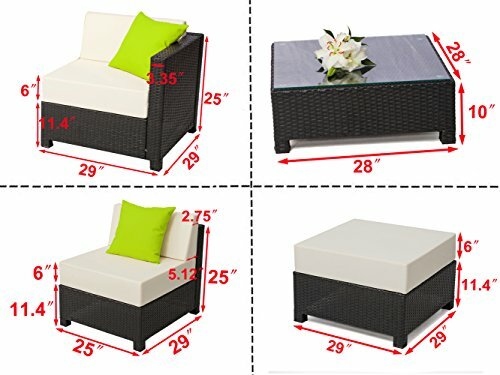 This hand made lasting wicker finishes to satisfy your unique taste & complement your decor, this comfortable, generously proportioned set includes weather-resistant outdoor seat & back cushions. Features: assembly is required. 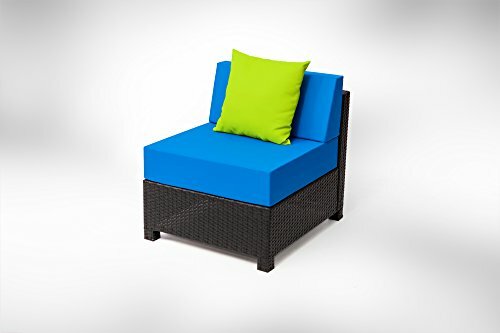 100% handcrafted; durable, lightweight rust-free aluminum frames; all weather hand woven resin wicker is UV, stain, crack, water & split resistant for extra durability; lasting powder-coat finishes; stylish contemporary design; comfortable, generously proportioned seating; designed to withstand frequent use & harsh elements. 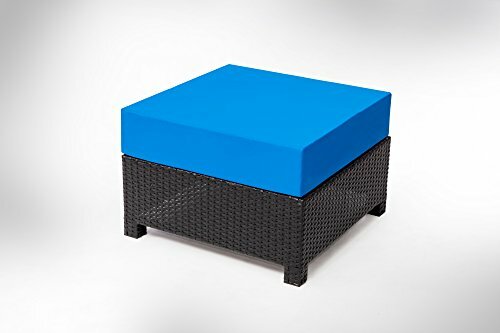 Includes: 2 x corner chairs; 4 x armless chairs; 2 x coffee table; 4 x ottoman; 1 x set of seat cushions; 1 x set of back cushions; dark blue cushion covers; 4 pillows. 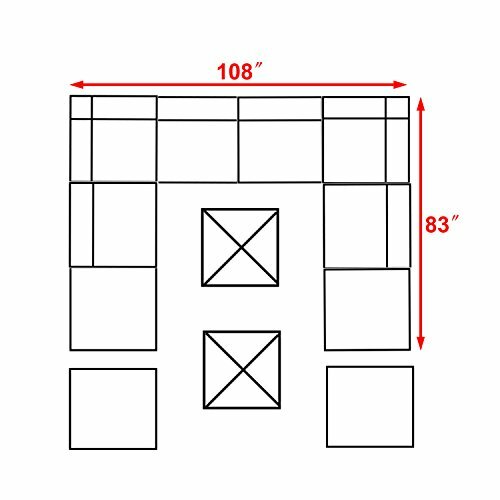 Dimensions: corner chair: 30"x30"x25"; armless chair: 26"x30"x25"; ottoman: 30"x30"x12"; table: 35.4"X20"x12".